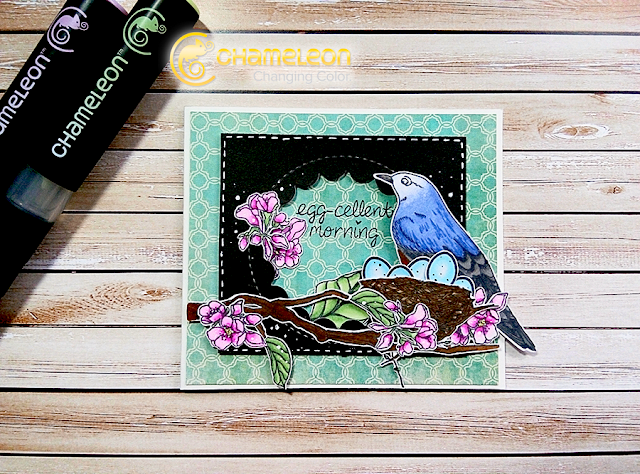 Soo, today I'd like to share with you a card I've made for my Chameleon team, the theme is Easter. We don't make gifts or cards to celebrate it, present only dyed eggs and Easter cake. But I love the way my foreign friends celebrate it and I decided to make a card. I used here different brands: Lesia Zgharda stamps and Lawn Fawn sets. Colored all the images with Chameleon alcohol based pens. All the details and some more pics you can find over at Chameleon blog along with downloadable step out instructions to this card.